The SmartShopper tool offers patients a menu of prices from a variety of providers so they can go comparison-shopping. Given healthcare prices that don't seem to budge, consumers hope to save money by shopping around. But even then, price transparency across the industry lags and real cost information is hard to come by. 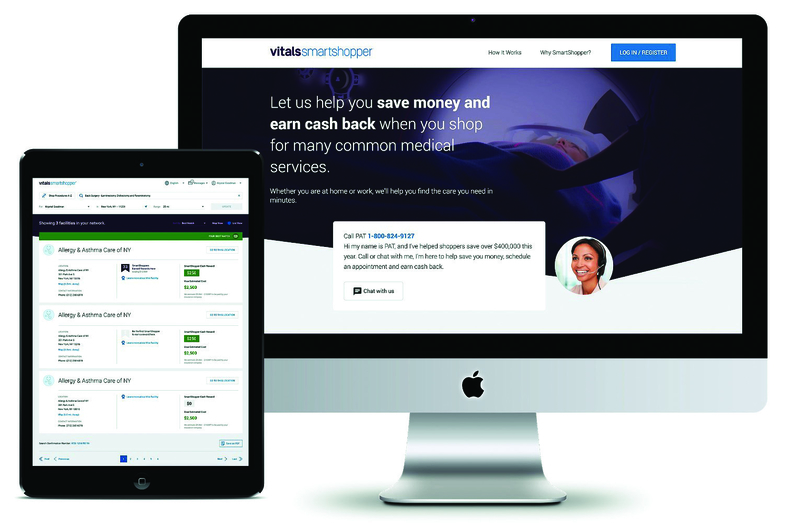 Vitals CEO Heyward Donigan and her team want to change that with SmartShopper, a tool that provides patients with prices from various providers so they can choose who they see based on cost. SmartShopper encourages savvy shopping by letting employers or health plans customize a cash rewards program for patients who choose lower-cost providers. Vitals' clients include some of the biggest health plans in the country—Anthem and Highmark, to name two—as well as integrated delivery networks like Kaiser Permanente and self-insured employers. Only patients whose health plans or employers have signed onto the tool can access it. When they do, the savings can be substantial: On average, a patient will save $606 for each procedure they shop for using SmartShopper, with savings ranging from $1,810 for a course of physical therapy to $80 for a mammogram. Employers save too, cutting medical spending by more than $56 million between 2015 and 2018. But not everyone is so lucky, since they might not work for an employer that offers a tool like SmartShopper, said Jacob Galante, director of strategy consulting at Optum. “The adoption rate isn't that great,” he said, even for those to whom the service is offered. That could change in the new year. “We would expect to see a really big push on education in Q1, since deductibles are resetting,” he said. In August 2018, Vitals sold off its consumer services division to WebMD. Since then, it's been able to focus on its price transparency business. Over the next year, it will continue that work, as well as coming up with a new brand and name. The company will also push its newest offering, Medical Expertise Guide, which provides surgical patients with support in addition to what they get from SmartShopper. People can either get in touch with MEG staff on their own or they can wait until staff reach out to them after thorough predictive modeling suggests they'll need surgery in the future. Take knee pain, for example. Ninety percent of people diagnosed with osteoarthritis in the knee get MRIs within two weeks of diagnosis, and 35% of people get a knee replacement within five years. In that case, Vitals staff would reach out to talk to patients about which care options might be in their future. This is an example of a “clinical pathway for shopping,” Donigan said. The company can create those pathways by drawing on the 7.6 million data records it processes every day.